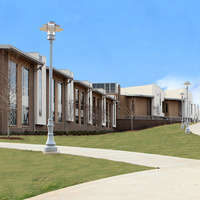 The new state-of-the-art School of Nursing and Center for Science. The 125,000-square-foot building, designed to replicate a hospital, houses the college’s acclaimed nursing program along with the popular biology department and related health and science classes. For more information please contact Rachel Dawsey @ 256.297.1044.